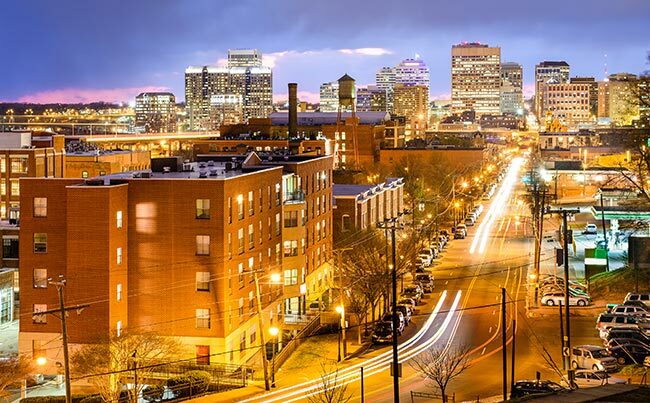 From its low cost of living to its educated population to its role as the capitol of the Commonwealth of Virginia, Richmond has all the ingredients of a thriving economy. The town is a major center of bioscience research and technological development, achieving breakthroughs that have enhanced health and wellness for all humanity. AirFreight.com makes sure these industries have the supplies they need to keep innovating, and ships out their finished products so they can benefit the world. Since 1995, Richmond has hosted the Virginia BioTechnology Research Park, an incubator that specializes in everything from facilitating organ transplants to developing new pharmaceutical products to promoting engineering advances. The park has all the expertise it needs thanks to nearby academic institutions like the VCU Medical College of Virginia. But that alone does not guarantee success for its research efforts. The BioTechnology Park also relies on a myriad of supplies and raw materials, many of which are not available in the Commonwealth or even in the United States. As a result, businesses in this park and other parts of Richmond have to have their inputs shipped in, exposing them to the risks and delays of ground transport. AirFreight.com avoids these delays and risks by relying on air shipping instead. Scheduled Air Shipping - In most situations, we will schedule you room on a flight going into or out of the Richmond area on a timetable that meets your deadline. We organize such flights not only into and out of airfields in Richmond proper, but also in Newport News, Charlottesville, Midlothian, Petersburg, and Mechanicsville. We also make sure that the airline shipping your items knows how to keep them safe. Air Charter Solutions - Scheduled flights don’t always fly on timetables or routes that are convenient to you, which is why we have the ability to charter new flights that do. Our air cargo charter team will organize a flight on the precise schedule you set, which won’t carry anyone’s goods but yours. In this way, we make sure you always have the option of shipping your goods before your deadline. This service is also invaluable during scheduled connecting flights, as we can always charter a new connection if the original one doesn’t work out. A Customer Call Center - As an experienced air freight company, we understand the importance of full transparency, which is why we have a centralized customer support office that you can call at any time of day, any day of the year. This office has access to our advanced tracking data, allowing them to tell you the precise location of your current order and its likely time of arrival. Our customer support team can also give you a free quote on the cost of future air freight deliveries, making it easy for you to book air transport services within your budget. For more information or to schedule your next air freight service, call (804) 886-3100 or visit AirFreight.com today.